Manchester United are reportedly closing in on a move for Bayern Munich’s Renato Sanches. This is not the first time that the Portuguese has been linked to Manchester United. Jose Mourinho tried signing the talented midfielder from Benfica last summer, but it was eventually the German outfit who managed to acquire his services. 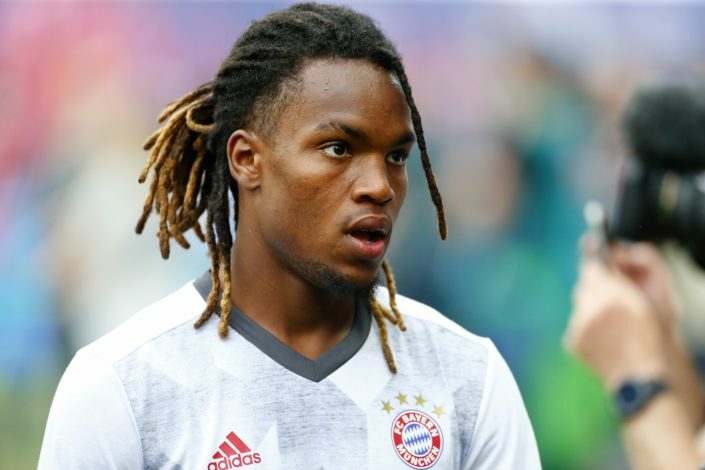 However, Sanches’ run at the Allianz Arena in his debut season has not been the fairytale everyone expected it to be. Following a sensational Euro campaign with Portugal, everyone expected the young midfielder to fit right in at the Munich club, which wasn’t to be. And now, the recent signings of Corentin Tolisso from Lyon and Sebastian Rudy from Hoffenheim hint that manager Carlo Ancelotti doesn’t see the 19-year-old as his midfield motor for the upcoming season. Bayern’s Chairman Karl Heinz Rummenigge also stated that the club is open to listen to offers for the youngster. “He is a player who needs to play regularly. So if we feel he is not going to get enough game time, then we will loan him out, or maybe even sell him,” Rummenigge was quoted as saying. According to ​Guardian (via 90min), the Red Devils are showing keen interest in securing the services of the midfielder and are planning a £40m swoop before the summer transfer window closes. Manchester United could come all guns blazing at this particular deal, after Spurs listed their midfielder Eric Dier as unavailable. Nemanja Matic too, seems like an improbable proposition for the Red Devils. Feels that every year is going to be Bayern Munich’s. Started off as a broadcast journalist with NDTV, but his love for writing brings him to the online world. A staunch believer!